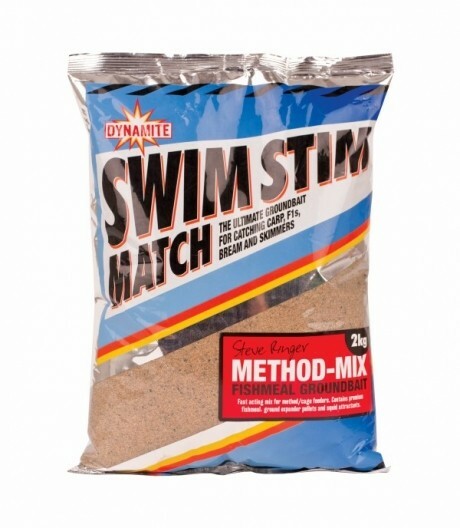 With its fine consistency the Dynamite Baits Method Mix Fishmeal Groundbait developed by Steve Ringer is ideal for attracting fish without risking over-feeding them.It is packed full of quality proteins and amino acids that help to draw fish in and, like the rest of the Swim Stim range, it has been made using Koi technology which makes it one of the most sophisticated groundbaits on the market. It has a lovely consistency and its aroma instils confidence in the groundbait from the first sniff. Supplied in a 2kg bag for extra value.